As a parent of an elementary girl and a teen boy, teaching my kiddos to get excited about being creative is a high priority. Maybe it has something to do with my day-job as an art teacher... Maybe it's because we are wrapping up a long season with too much time in front of one screen or another... Maybe it's because I am trying to bring a new level of originality to my own daily life and work, of which parenting is a huge part. I can usually get my kids on board with making a card or picture for a family member's birthday, or a friend who is ill. When we make something, whether its a craft or a recipe, we like to make extra and then think of people we can bless. Older children might be motivated to enter a contest or create something for their bedroom. Special occasions like holidays call for extra decorations around the house, and while my teen boy is not big on making Christmas tree garlands, he willget enthused about making posters or chalkboard art or computer-generated logo designs for College Game Day. Which leads us to..
You'll have to be sensitive to whether or not your child is an extrovert or an introvert, but working together on a project is really fun and a great way to bond with your child and see the world through their eyes. Extroverted children are apt to be more engaged and excited about creating when someone else is enjoying the process alongside them. Try allowing your child to be the "art boss," where they get to tell you what to add next to a painting. Invite them to help on a DIY project. 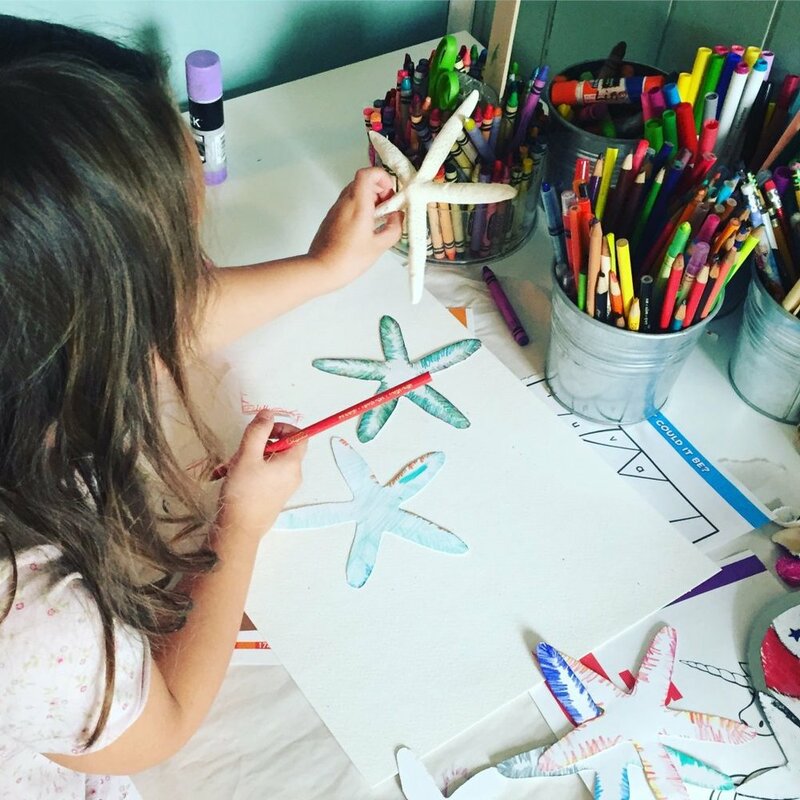 It is important that your child sees you making time to create as well, and feels invited into the process. Was this article helpful to you? What ways have you found to get your kiddos creating? I would LOVE to get your feedback in the comments section.